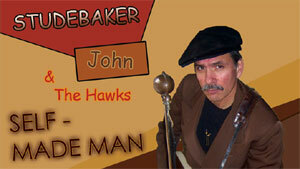 Studebaker John Grimaldi doesn't play "Sweet Home Chicago," "Stormy Monday" or "Messin' With the Kid." Traditional blues classics, all of them, he admits, but Grimaldi's not interested. Instead, the guitarist and harmonica player keeps a different tradition of the blues alive: He writes his own material. "I came from an era when, musically, you were supposed to do your own thing," he says by telephone from his home in Brookfield, Ill., about 10 miles outside Chicago. "You weren't supposed to just copy. Now, it seems as if you're supposed to copy, even in blues, and I think that's detrimental to its growth. It seems like you go to see blues, and you get the same thing over and over." In part, competition drove Grimaldi, who performs tonight at The Livery in Benton Harbor with his three-piece band, to write his own material. "There were a lot of guys like me playing the same 12 songs," he says of when he started in Chicago's clubs in the late '60s. "You could go from club to club to club and hear the same set. ... They're classic songs, but they're classic songs the way the (original) artist did them." In addition, Grimaldi says, many classic blues songs simply are dated or don't pertain to his life. "I always feel like it would come more from me than if I just did a cover," he says. "Covers are nice, and there are some really great old songs out there, but if you're not speaking through your music -- it has to be real." On his 10th album, 2006's "Self-Made Man," Grimaldi presents a diverse set of blues and blues-rock songs. His voice bears more than a resemblance to John Hiatt's, and on the album's rock-based songs, Grimaldi's rootsy sound also recalls Hiatt's. Although he says he isn't familiar with Hiatt's music, Grimaldi concedes others have made the same comparison. His use of a quarter as a pick -- "You could feel the plastic pick bend in your fingers, especially when you're playing real hard," he says of switching to metal picks, a habit he shares with many country guitarists. "I always felt like I would miss the next note." -- and Danelectro guitars, however, give Grimaldi's playing a distinctive sound. "It's a little bit of a harder edge than, say, a Fender," he says of his guitar. "Another thing, I think, is that with Fenders and Gibsons is that they all sound so similar. You've heard Fenders for years, you've heard Gibsons for years, and it's nice to hear something different. Not only is my style different, so is my sound. It's tailor-made for slide. I like tremolo and a dirty sound, a little gritty." Like Grimaldi, the Chicago blues revival generation of the late '60s and early '70s -- Paul Butterfield, Mike Bloomfield and the Siegel-Schwall Band, most prominently -- consisted, primarily, of white musicians who learned the music in the clubs alongside their heroes from the previous generation. In that vein, Hound Dog Taylor and J.B. Hutto became Grimaldi's biggest influences. "J.B. Hutto wasn't great for chords, but Hound Dog Taylor could play," he says. "He could back up another player, a harmonica player. Those things are something I think has been lost. ... The reason I play slide is because I saw Hound Dog Taylor in the clubs, and I just loved what he was doing. ... (Taylor and Hutto) were so raw, but it wasn't the rawness that came through, it was the feeling. Slide was like bending notes on the harp, with the added attraction of being able to play alone." Although Grimaldi still mostly listens to and buys "old blues stuff," he has no problem taking elements of other musical genres for use in his songs. "Jimi Hendrix didn't play anything but the blues," he says. "To deny that is stupid. ... The English guys, (Eric) Clapton and Peter Green, took it to the next level. They updated the blues, and nobody else did that. ... Those guys created something that was undeniably blues, but it was also rock 'n' roll." Without that sort of growth, Grimaldi says, the blues will stagnate. "I think blending of genres is good because I think it gives a wider representation and it updates something that's -- I shouldn't say it's out of style -- but if it doesn't grow, it becomes unappreciated even more, in my aspect of thinking," he says. "I see what happened to Dixieland music in just my lifetime. It went from a real vibrant form of music to a novelty, and I don't want to see that happen to blues." Copyright © 2002 - by Studebaker John, all rights reserved.